Events recently took place across the UK to mark the 70th anniversary of the founding of the NHS – Britain’s National Health Service. Members of the Royal Family met NHS staff and patients in England, Scotland and Wales. The Prince of Wales – already in Wales for his annual week of engagements to celebrate Welsh achievement and culture – started the day with a Garden Party at Ysbyty Aneurin Bevan hospital. Aneurin Bevan – the Welsh son of a coal miner and founder of the NHS – is a source of much pride in Wales. In the afternoon, The Countess of Wessex attended a service at Westminster Abbey where a number of the NHS’s longest-serving members of staff were amongst the congregation. 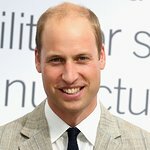 At the final Royal event of the day, The Duke of Cambridge spoke to NHS staff and patients about their experience within the health service during a reception in Scotland.